Starved rocks physical features are trees, rocks, hills, and waterfalls. 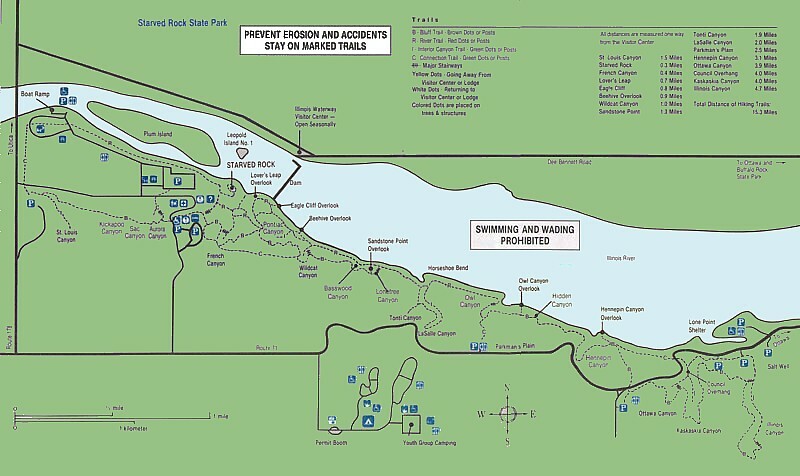 The first people who lived in Starved Rock was the Ottawa tribe. Chief Pontiac was attending a tribal council meeting. Kinebo head chief of the Illinois tribe stabbed Pontiac in the back. The Illinois feared death so they hid in the great rock. 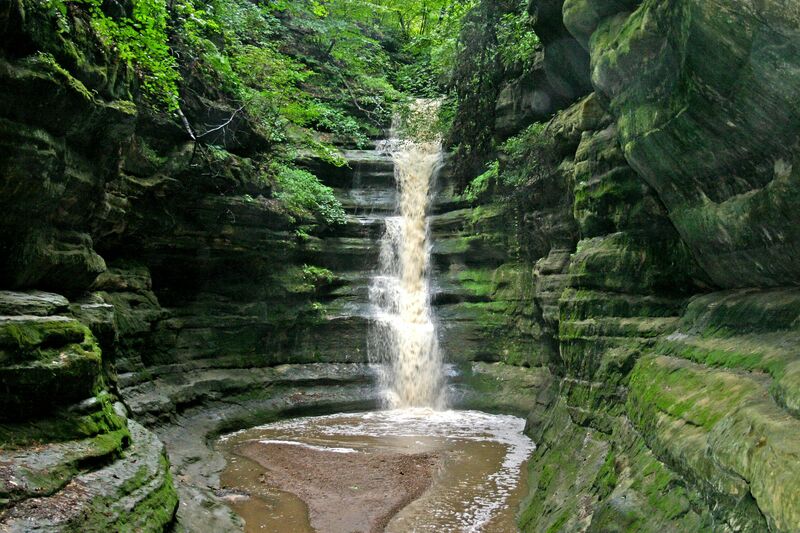 After a few days they died of starvation giving Starved Rock its name.